Good news to all Filipinos! Technical Education Skills Authority (TESDA) now offered free online courses, like Information Technology in Basic Computer Operation for the beginners of computer who wanted to learn. TESDA find a good idea in using online of the internet. 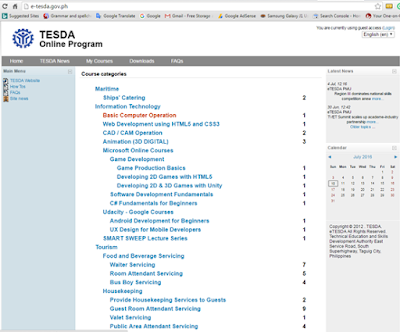 For those peoples who are busy, but they wanted to learn more about computer courses. 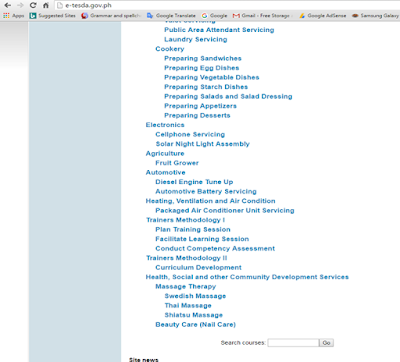 This aims to promote courses which fitted in your own needs in every industry and business, like computer courses. And all this course is all demand, which can help you more to find a good job both abroad and here in the Philippines. 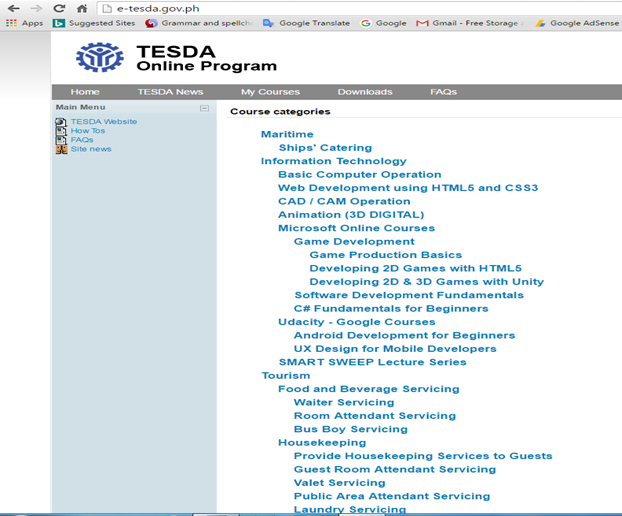 Every course have individual competencies, it's just like in TVET training centers, example in computer hardware servicing (CHS) it has both basic, common, and core competencies like to install computer systems and networks. 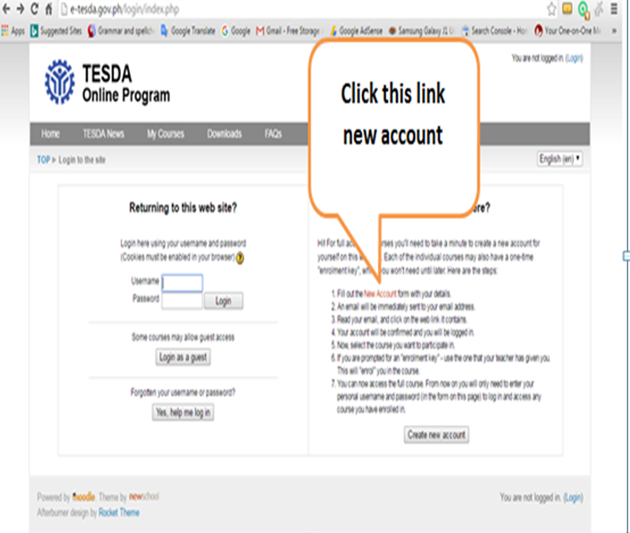 Inside the online training, all you need is to follow the step by step instructions. It has also videos to keep yourself easy to understand and follow. Its easy to learn even no guides of a TVET trainer. First face of the image kindly click it to make it bigger. Second face of image, kindly click it to make it bigger. How to register in this computer online courses? 2. In the next window click "New Account"
3. 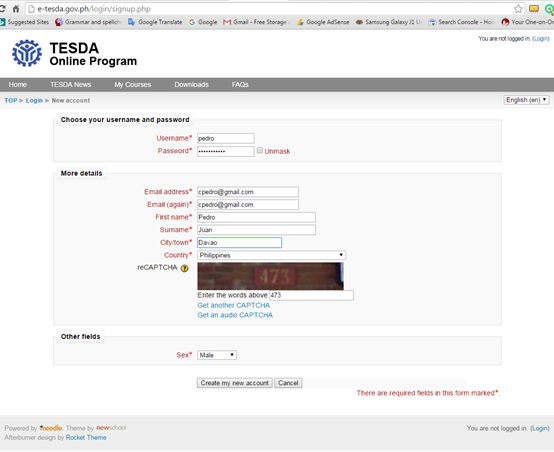 Fill-up the form completely and write the CAPCHA and click "Create My New Account"
4. After you click the "create my new account" it will open in the next window. 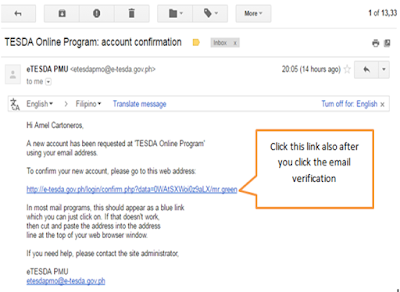 It will notify you to open your email for verification. 5. After you open your email check for the link "TESDA Online Program Account Confirmation", once you find it click on it. 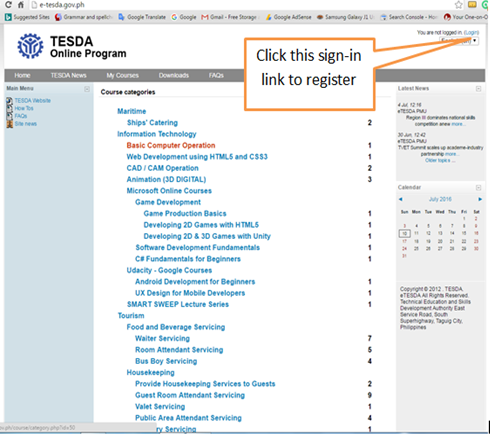 And you will bring into the TESDA online program site. 6. You need to log-out first in TESDA online course program site and login it again using your new account. 7. 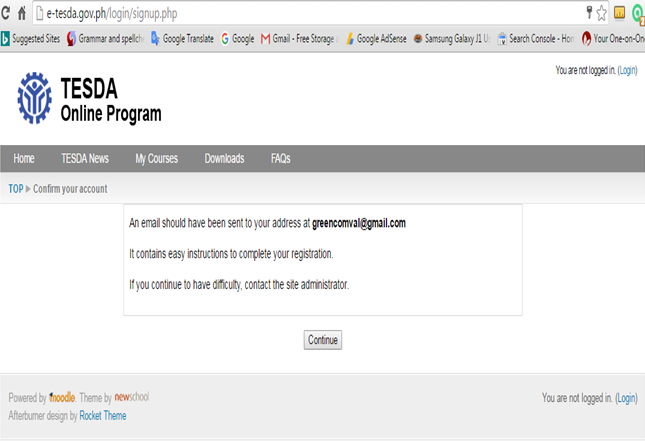 After you will login, select your computer course you want. 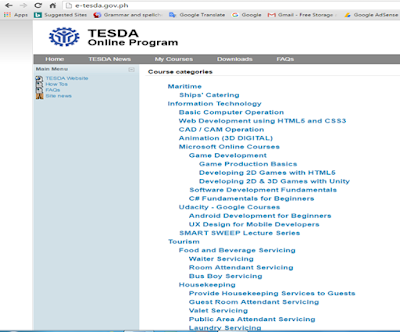 Like "Basic Computer Operation" or other course of computer you wanted to enroll. 8. After you select your course, follow the onscreen instruction to continue, there are links that will guide you until you will finish the registration to start your online class. 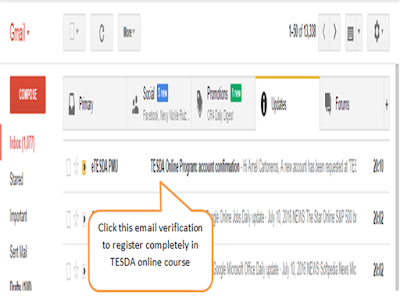 After you finish your course in this online program, all the learners that will graduate from this course can be ready to take the certification exam like NC2 (National Certification II). If you feel that you're already enough to pass the examination. Go to any assessment center like the Core Institute Of Technology in San Pedro St., Davao City. If you any questions fill free to write it in comment bar below.